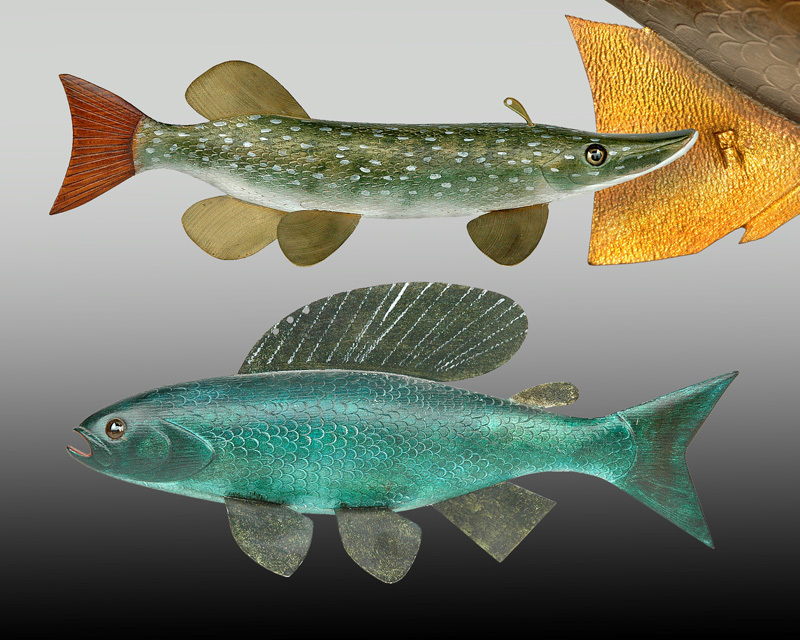 Hooked On Wood: The Allure of the Fish Decoy showcases modern wood fish decoys and highlights historical works as early as 3000 years ago. 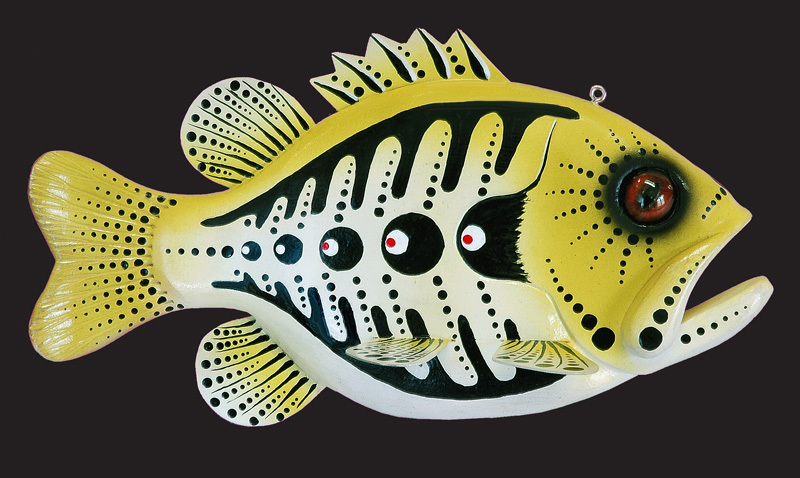 Today fish decoys are appreciated for their beauty as polychrome sculptures and are evaluated on their ability to move in the water to attract real fish. 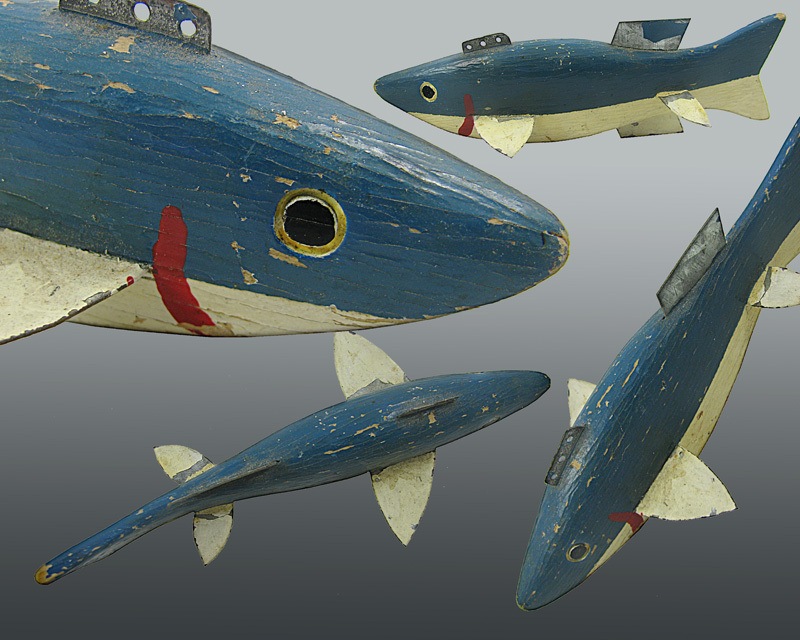 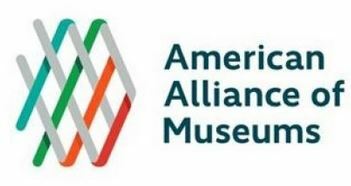 Families and people of all ages will be astonished and delighted at the utter creativity and craftsmanship in this exhibit. 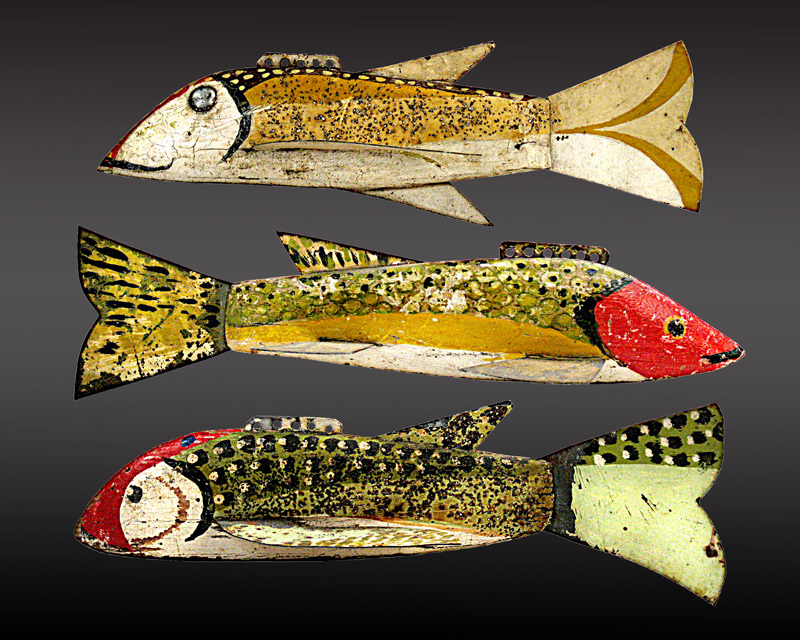 Over 100 fish decoys are on display: Ice spearing decoys – a handmade utilitarian tool, trophy fish – decorative piscatorial portraits, and folk sculpture.